This is probably going to be the final “Status update” to Club Penguin Mountains for a while, but I just wanted to clarify some of the issues of this blog yesterday, though everything is okay. Why couldn’t I view Club Penguin Mountains yesterday? For some of yesterday, Club Penguin Mountains was down as I was attempting to transfer the domain to a new self-hosted website. Unfortunately, after three attempts, the transfer failed due to the new laws which the new host aren’t ready to deal with yet. 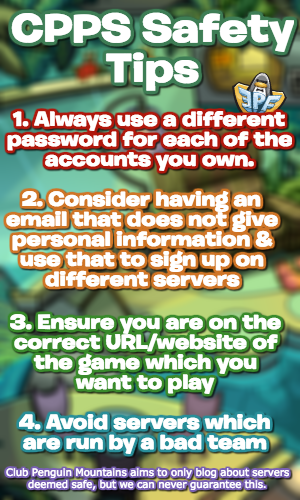 You may have received a warning saying Club Penguin Mountains is not secure, and I just want to clarify this. Any message like that which appeared is the default scenario when a domain transfer occurs, regardless of which website. It does not reflect the actual security of this website. 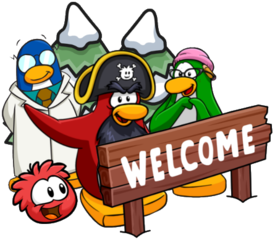 Will Club Penguin Mountains be self-hosted? Sadly, no, I have decided that Club Penguin Mountains will remain hosted with WordPress.com. All content will be exactly like you are used to, and nothing will change. Basically, self-hosted was a less restricting version of WordPress, which would have meant I could offer new things on this site. Immediately, that would have meant an improved design and tracker notifications, which are two of the most requested things. Unfortunately, it was just too complicated to follow through, especially with the domain transfer, and also because hundreds of images and posts were “lost” during the transfer. I decided it would be better to stick with WordPress.com overall. Once again, I apologise for the inconvenience caused, but this time, there should be no further issues as I am certain of my decision to keep things the same.